International Business Machines Corp. (NYSE:IBM) is an old-school tech firm that the millennial generation may not be all that familiar with. And one of the firm’s most famous shareholders, the very old-school Warren Buffett, sold off yet more of the technology giant’s stock in the third-quarter. In 2011, the world’s most affluent investor acquired a 5.5% stake in IBM, despite contradicting his statement that he doesn’t buy stakes in companies that he doesn’t understand. He admitted recently making mistakes by not purchasing shares of Amazon.com, Inc. (NASDAQ:AMZN) and Alphabet Inc (NASDAQ:GOOGL), partly for those reasons. Despite Buffett continuing to reduce his exposure to the tech giant, “Mad Money” host Jim Cramer expressed his optimism about the company’s turnaround despite its weakening revenue in the last quarter. “Will it lead to a turn in the stock? Well, that’s a different story,” Cramer said. Barron’s agrees, recently stating that IBM shares could be poised for a rebound with the company seemingly on the verge of returning to growth and with its valuation sitting well below that of the S&P 500. 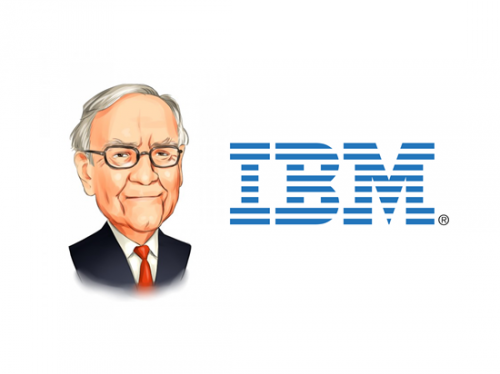 Buffett’s Berkshire Hathaway Inc. (NYSE:BRK.A) offloaded almost 32% of its International Business Machines Corp. (NYSE:IBM) in the latest quarter, leaving it with 37 million shares at the end of September. The holding company previously held more than 80 million of the tech outfit’s shares. Berkshire Hathaway declined to comment on the reason behind its move. Amid fierce competition from modern technology firms such as Microsoft Corporation (NASDAQ:MSFT) and Amazon, shares of IBM have struggled in recent years. International Business Machines Corp. (NYSE:IBM) has been underperforming since Buffett bought the shares in 2011, which lead us to question earlier this year whether it was the worst investment that the legendary investor has ever made. IBM stock skyrocketed to $215 in 2013, but has since taken a nosedive to below $152 (a more than 30% decline) as of today’s trading session. In a recent interview with CNBC, the 87-year-old billionaire revealed that he was valuing IBM differently from how he did in 2011. “I don’t value IBM the same way that I did six years ago when I started buying… I’ve revalued it somewhat downward,” the Oracle of Omaha stated. The billionaire still considers IBM a prominent tech company. Yet, it has excellent competitors too. Berkshire Hathaway’s latest filing revealed that it also sold off shares of Charter Communications, Inc. (NASDAQ:CHTR) and Wells Fargo & Co (NYSE:WFC) during the third-quarter.